Lucas Motorcycle Batteries - I Say Ding Dong Shop - Buy Stickers, Decals & Unique Automobilia. Lucas Motorcycle Battery Sticker. Black & Silver Pair. No.20. 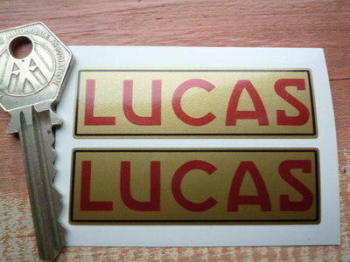 Lucas Motorcycle Battery Sticker. Black & Silver. No.8. 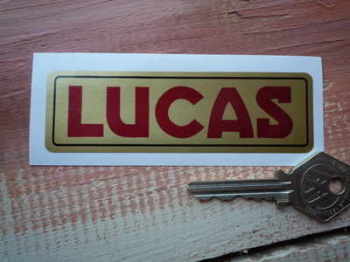 Lucas Motorcycle Battery Sticker. Gold & Black Pair. No.10. 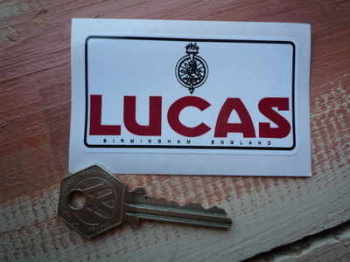 Lucas Motorcycle Battery Sticker. Gold Lion & Torch. No.2. 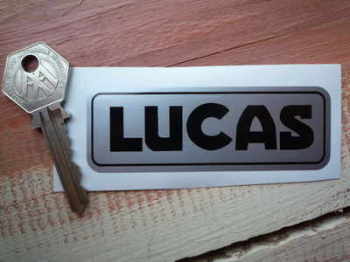 Lucas Motorcycle Battery Sticker. Green Dash Break. No.11. 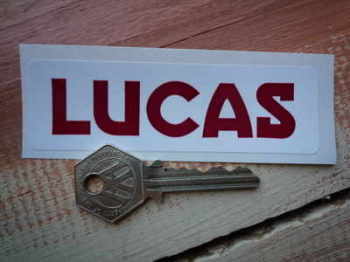 Lucas Motorcycle Battery Sticker. Red & Gold. No.6. 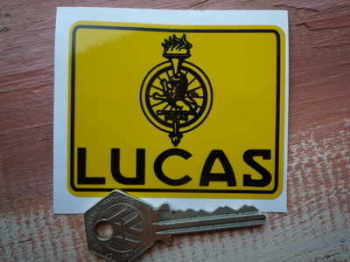 Lucas Motorcycle Battery Sticker. Red & Silver. No.4. 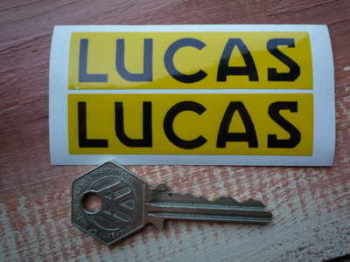 Lucas Motorcycle Battery Sticker. Red & White. No.5. 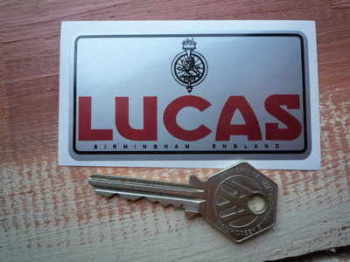 Lucas Motorcycle Battery Sticker. Red, Black & Gold. No.18. Lucas Motorcycle Battery Sticker. Red, Black, & Silver. No.16. 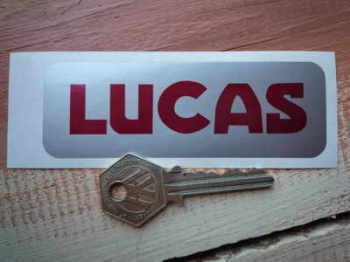 Lucas Motorcycle Battery Sticker. Silver Lion & Torch. No.9. 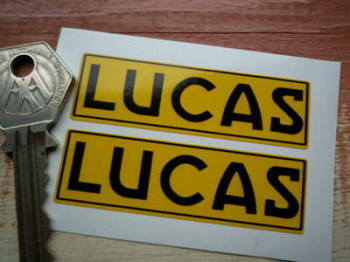 Lucas Motorcycle Battery Sticker. White Lion & Torch. No.7. 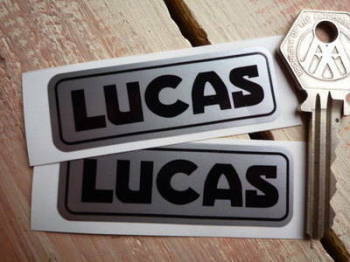 Lucas Motorcycle Battery Sticker. Yellow & Black Pair. No.3. 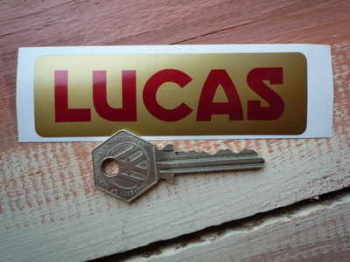 Lucas Motorcycle Battery Sticker. Yellow Lion & Torch. No.1. 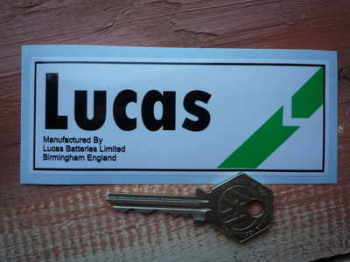 Lucas Motorcycle Repro Battery Sticker. Gold & Red Pair. No.14. 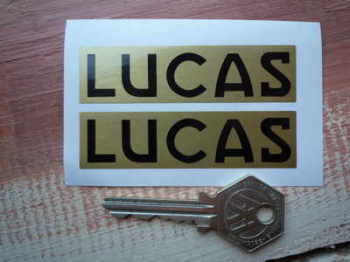 Lucas Motorcycle Repro Battery Sticker. Yellow & Black Pair. No.12.